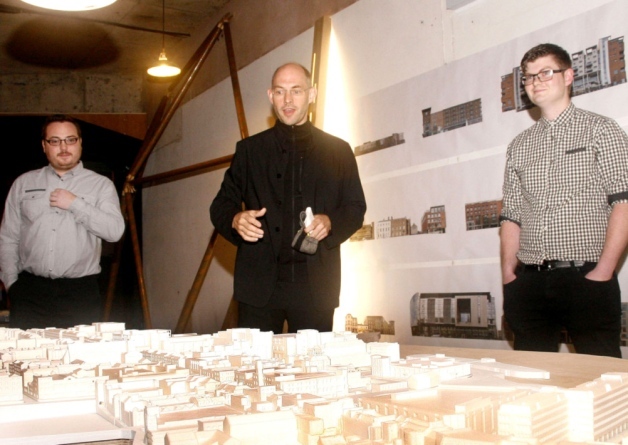 A HUGE scaled architectural model of the city has been unveiled at the Fab Lab space on Rutland Street. The City Model was funded by City of Culture and was produced using digital fabrication technologies. An initiative of the School of Architecture in UL, the space opened in April of this year and is home to working graduates. It is intended as a resource for the city, as is the model itself. “There are many cities that have models and they put them in a glass box and they get left there and get old, whereas we want our model to be a tool for use within the city,” says Fab Lab coordinator Michael McLaughlin, one of three SAUL graduates who worked on the model, along with Ger Walsh and Sean Collins.